On May 27, 1945, Sergeant Kazuo Arai took off from Bansei Air Base as a member of the 72nd Shinbu Special Attack Squadron and died in a special (suicide) attack off Okinawa at the age of 20. He piloted an Army Type 99 Assault Plane (Allied nickname of Sonia). After his death in a special attack, he received a three-rank promotion to Second Lieutenant. He was from Tōkyō Prefecture. 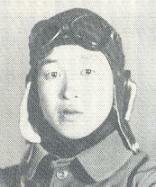 In December 1941, he joined the 10th Class of the Inba Pilot Training School in Chiba Prefecture. Please forgive my lack of filial piety for 20 years. Today I already am prepared and have been since I started flying. Now I have no complaint to tell you even though it is a final letter. I deeply appreciate that I was born in a generation that happens once in a thousand years and that I have the opportunity to offer myself for the Emperor as an air warrior. Until today I have lived a long life. I am deeply and humbly grateful for both the gifts of divine protection from my ancestors and teaching from you and everyone. Even though from the beginning I lacked filial piety, I as an Imperial subject surely am about to show in a single act both loyalty to the Emperor and filial piety to you. I will try to crush the American and British enemies. There is nothing that surpasses this as the long-cherished desire of a young man. Faraway, I will not stop praying for the country's prosperity and your health. The letter and poems come from Naemura (1993, 144-5). The biographical information in the first paragraph comes from Naemura (1993, 144) and Osuo (2005, 201).